Writing Series: Querying - How many queries should I send? You've got your polished novel. You've got your query letter. You've got your heart held out, warm and beating in your hands. How many agents do you offer it to before you call it quits? Querying is a frustrating, exhilarating, soul-sucking experience. The hardest parts are the beginning, after you send that first one, and the end, when you're not sure if you should stop querying or just keep going. I'm here today to talk about the end. This is a painful thing to contemplate, so I'm sorry for that, but pretend I'm the lawyer you hired to write your will or the financial advisor whom you've contacted about life insurance. We all want to believe that we're going to find an agent with the novel we're querying. Otherwise, why are we doing it? But sometimes, it doesn't happen and querying ends. You want the end to come when you've rationally decided it, not when you're crying into your second bottle of chardonnay and lamenting the frustrations of today's publishing industry. So let me sell you some life insurance. The answer for when to stop querying is different for everyone, but my advice is this: make your decision now, before you hit the send button on your first one, and stick to your plan. 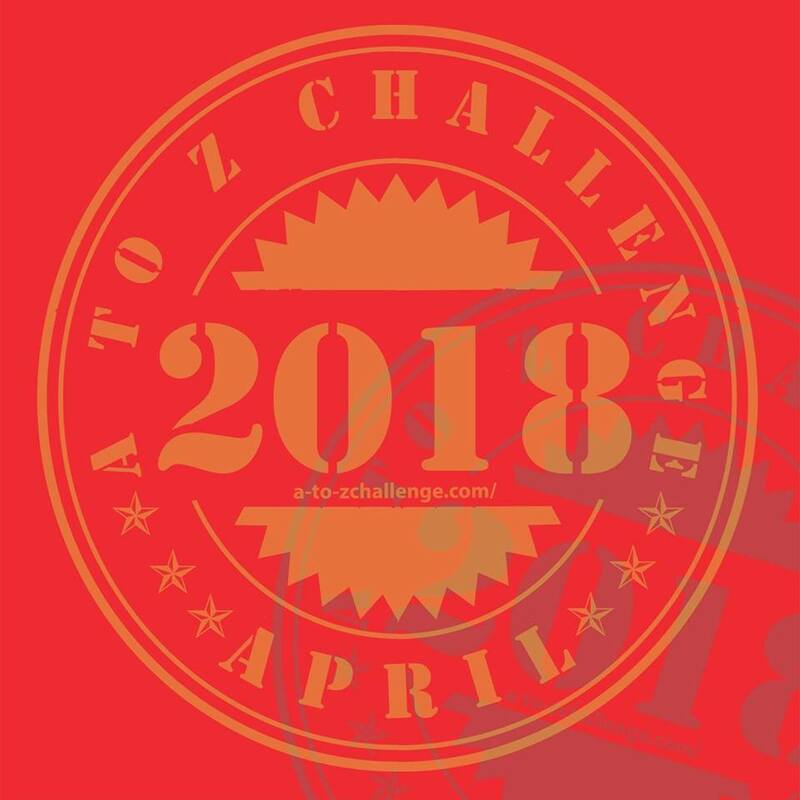 In previous posts, Melinda talked about querying resources, Kara talked about how to use social media to find agents, and Wendy talked about how to organize your querying. Your job, now, is to use those resources to decide how many agents to query. It could be ten. It could be twenty. It could be one hundred. 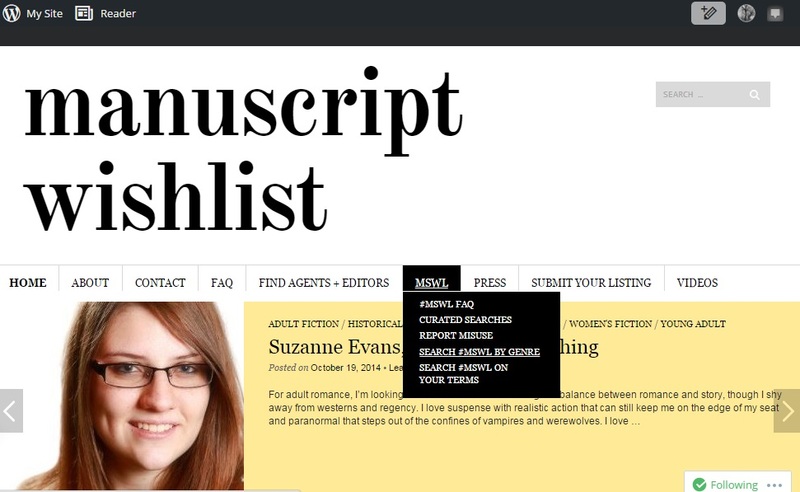 It could be all the agents that rep adult fantasy and historical fiction as listed on QueryTracker.com. I don't care what your list is, but set yourself a goal, decide how many you'll send per week, write it down, and follow it until every single agent on your list has your submission package in his or her inbox. For every yes you will receive, you will get nine no's. So set yourself a goal to get to a certain number of no's, and ignore completely the yes's. Unfortunately for writers, the odds seem worse than 10%, but the principle is the same: Don't let a request for a partial stop you from querying. Don't get three full requests stop you. Don't even let an offer stop you--make sure you send out "offer of representation" follow-ups to the agents you've got materials out to. If you get a "yes," that's cause for a chocolate cupcake, but it's not a reason to stop gathering more no's. So what's the answer for you? How many agents are you going to query? You decide that now, and you query all of them. Do you need an accountability partner? You can find me on Twitter. I'm not kidding about this. I'm about to go into the query trenches myself mid-January (by the way, don't start querying right now because it's the holidays). My goal is at least one hundred Canadian/US agents who rep adult SF. Perseverance is key. In the same way that I had to persevere to bring my book to publication, I have to do the same as I market my book. The marketplace isn't necessarily welcoming to first time authors. There is no formula for getting your book noticed.Very few authors experience instant success, so success is achieved over the long term, by working daily at getting your book in front of readers. Importance of personal connections. Having your book on bookstore shelves seems like a key to success, but those shelves are packed with books. As a new author, I found the best way to get noticed is to make personal connections--networking, arranging signings, interacting directly with readers whenever I get the chance. Recognition of small victories. It's too easy to check Amazon rankings and get discouraged. Instead, I learned to focus on the positive. A great review. A friend who recommended my book to a co-worker. A reader contacting me on Facebook to tell me she enjoyed the book. My son, who isn't a big reader, diving into my story. A perfect book does not exist. I found a typo and then I found another. Despite my publisher's and my best efforts a few mistakes made it into the final version. I had to let it go. Someone's else's book is always going to be better than mine. Other books win awards. Other books got better reviews. Other books racked up sales. It was easy to become jealous or to think my book didn't measure up. I learned not to go there. Competition is fierce and book love is highly subjective. Some people won't "get it." Every reader is going to process differently. That's okay. Some will see the depth of the story. Some won't. I like to think about all the books I've disliked over the years, that others have loved. Again, it's all subjective. The need to get more books out there. So, people liked my book and want more. I better get on that. Well, it's the last week of NaNoWriMo. Have you hit the slump yet? Some days getting to my target word count feels like flying, and others it's more like trying to swim in a molasses pool. When I reached the molasses stage during my first NaNoWriMo, I took a trip to the Sprints and Dares forum. People had all kinds of fun ideas for crazy things that could happen in your work, or a funny line that you should try to work in. I spent one night incorporating all these ideas into my novel, plus some that my Facebook friends offered. I shared some of them on my personal blog, if you're interested: NaNoWriMo Dares. Here's a dare for you: Find a way to work in the phrase "Hashtag things I never thought I'd have to say." 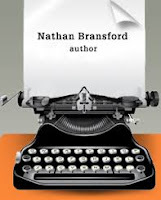 And here's the link to the NaNoWriMo forum if you're interested: Word Wars, Prompts, & Sprints. If you need a fresh set of eyes on your query and you'd like a critique, leave a message in the comments. Samantha will pick someone for a query critique! I'll resume my duties next month. In our writing series this month, we've been giving you some pointers on querying. Kara talked about how Twitter can be a great resource for querying writers & Melinda gave you four fabulous resources to help you on your quest. Today, I'm going to talk about one of my favorite things: spreadsheets. Obviously, you're going to want to know what agencies you're querying. I've found it easiest to organize my spreadsheet alphabetically by agency. Here, I make a row for each agent at the agency who represents the genre(s) I'm interested in. Quite frequently, agents will move agencies; at that point, I just copy/paste that row to the new agency and make a comment (right click - "insert comment") to that effect. If this is the first book you've sent out to agents, you can delete these. If you've queried previously (even if it was years ago!) here's where you keep track of who rejected at the query stage (R) or after requesting a partial (P) or full (F). If the agent has requested materials in the past, this is a great thing to mention in your query. Here's where we get into the research portion of our spreadsheet. The first place I'd go to get your preliminary list is Query Tracker. Here, you can search for agents who represent the genres you're looking for. Keep the big picture in mind. Although some agents will represent books outside their usual genres for their existing clients, but in general, if you want to write both science fiction and romance, for instance, an agent who has interest and experience in both those categories might be a better fit than those who represent just one. This is a great place to start compiling your list. In my example to the left (cropped from my spreadsheet), I marked agents who represented commercial, science fiction, fantasy, and historical. 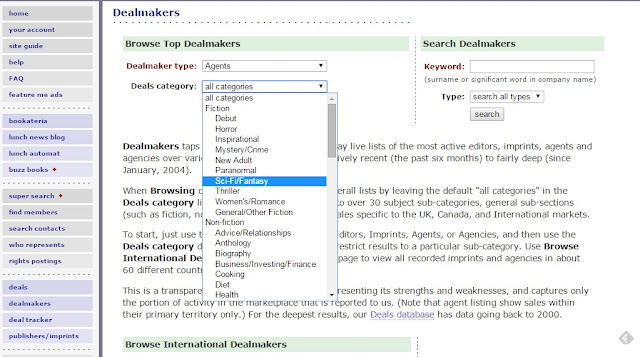 In my opinion, Query Tracker is the best place to start your agent search. On the agents' individual pages, you can find links to their agency websites, blogs, twitter hashtag, interviews, etc. which can provide a plethora of useful information about them. Also, for $25/year, you can subscribe to the premium version and access a wealth of statistics and charts for each agent and set up lists for multiple projects. These next columns require you to dig a bit deeper. I'm talking about Publishers Marketplace. This is a fantastic resource for querying writers, but -- heads up! -- most information that I'll be talking about here requires a subscription. At $25/month it's an investment, but the information you'll find there is invaluable. The first thing you'll want to check out is the Dealmakers tab. Here you can search by genre to see the actual deals that agents have been making to publishers on behalf of their clients. The information here is submitted by agents themselves, so there may be omissions (some agents simply don't report their sales), but it's a great place to start if you're wondering who has connections with publishers and imprints. In my spreadsheet, I gave certain point values to each deal made in the past twelve months. 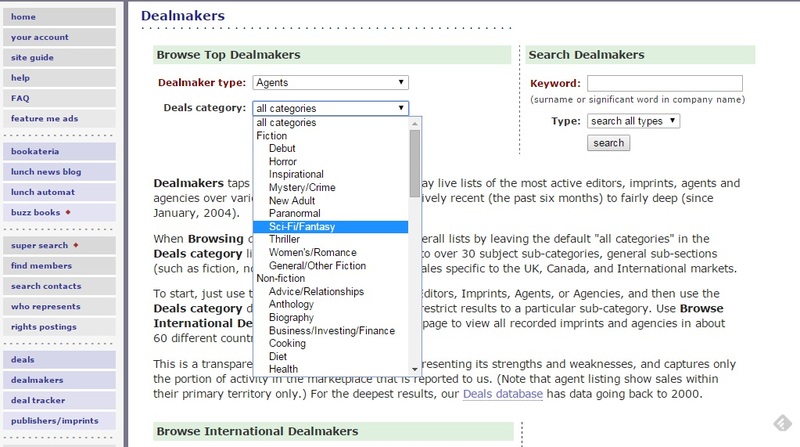 There's tons of information available on Publishers Marketplace; how you use it is up to you. Two more resources you'll probably want to check are the AAR (Association of Authors' Representatives) site and Preditors & Editors. AAR is the main professional organization for literary agents. Agents who are members of AAR must adhere to their Canon of Ethics and meet certain criteria. There are many ethical and reputable agents who choose not to belong to this organization for various reasons, but if they are a member, they'll be held to those standards. Preditors & Editors is a listing which includes literary agents and -- most importantly -- gives warnings to writers about agents who have conflicts of interest, who charge fees, or are known scammers. If P&E has a warning listed regarding an agency, you'd best stay away. Remember, a bad agent is going to be worse for your career than no agent at all. 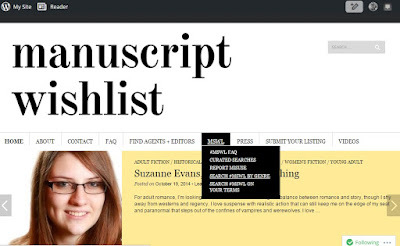 Google search "[author name]" + "agent"
Another great resource for querying writers is #MSWL (ManuScript WishList). Using this Twitter hashtag, agents tweet specific things that they'd like to see in their query inboxes. If your manuscript matches this, you can include "#MSWL" in the subject line of your query and it might get a second look or bumped up the pile. Don't feel like scrolling all the way through months and months' worth of tweets? Check out the new #MSWL website which makes it much easier to search by agent name or genre or date. Here's a column to prioritize your queries. Generally speaking, it's a good idea to query in batches of about 10-15 at a time, but there's many variations in how you might do it: by agent's average response time (which can be found on QueryTracker)? By number of recent deals? Alphabetically by twitter hashtag? 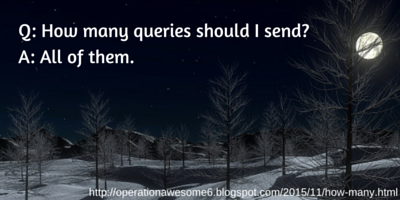 However you go about it, it's important to keep track of which queries you've sent to whom and when. QueryTracker has a great database for doing that. In my personal spreadsheet, I keep this information on a separate sheet where I also mark down the date of each communication (query sent, response received, requested materials sent, etc), but I wanted to include this here because it's an important part of researching agents. Each agent and agency has their own submission guidelines and ignoring them will likely start off your relationship with the agent on the wrong foot. QueryTracker does often list the information here (particularly the email address), however, I'd highly recommend going directly to the agency's website for the most up-to-date guidelines. Most agents ask that writers include a number of sample pages (column R), and some may also require a synopsis (column S), so here's where you'd keep track of that. Generally speaking, most agents want these materials pasted directly into the email, but again, check the agency's guidelines on their website. And finally, here's where you put all the other little notes you want to remember about each agent -- places you've met them, fandoms you both enjoy, any other notes that will help you narrow down your search. Researching literary agents can be incredibly time consuming, but if you're truly serious about pursuing trade publication, it's going to be worth it to make sure you have someone on your side who's going to be the best fit for you and your work! Wow, you guys have some amazing projects on the go. Thank you for sharing your words. If you're doing NaNoWriMo, I hope you're doing well. If you're behind--you still have time to catch up. And really, the point is to get those words out, and if you wrote one more word than usual this month, that's worth it. Landon had never seen his own reflection. He saw hers instead. He grew up watching this girl through the mirror grow with him. Grew up memorizing every feature, every movement, every horror she endured. He could see into her palace, into the darkness she was trapped in. When he was little, he told his mom about her. His parents thought she was an imaginary friend, and they humored him. But she didn’t go away. She couldn’t see him, but the older he got, the more she sensed him. And then she started talking to him. She didn’t need the mirror. She couldn’t see him at all, but that didn’t seem to matter. When she was alone, she sang to him. And she told him her nightmares. Except her nightmares were her life. She was a captive of the Queen of the Damned. Eiress sat in the middle of her bed, rocking back and forth, humming and petting her pet dragon. Tears slowly soaked her cheeks and every so often she would sob. The ball must have been horrific last night. Landon watched her while he brushed his teeth and got ready for school. There was nothing else he could do, and she couldn’t even see him, but he was loath to leave her. He put his toothbrush away and closed the mirror, trailing his finger down the reflection of her cheek, as if he could dry her tears. She smiled, raised her head a little. “Thank you,” she whispered. “Any time.” Landon smirked, because he knew she couldn’t hear him, and yet here he was, talking to the mirror again. Some people might think he was crazy, talking to a mirror. Of course, if they knew he was actually talking to the princess trapped inside, they’d have him committed right away. That was why he’d given up telling anyone about her. Landon swore, backing away from the mirror. With every step, Eiress’s shoulders hunched and she curled in on herself even more. “I’ll be okay,” she said quietly. With one last, desperate look, he stumbled away, feeling his soul tear slightly as he left the bedroom. He rounded the corner, grabbed his bag, and jogged down the front hall. He caught another brief look as he passed the front hall’s mirror, Eiress crying over her pet dragon. It nearly froze him in his tracks. This happened, sometimes. He’d get lost in the mirror, end up standing there for hours when he thought it had been minutes. Usually when she needed him most. I'm a sucker for dragons, what can I say? Our next contest is Friday, Dec.4! It'll be the last one in 2015 because I want to give all of us a break. You'll probably have a NaNoWriMo hangover, but I still want to invite you to come back. 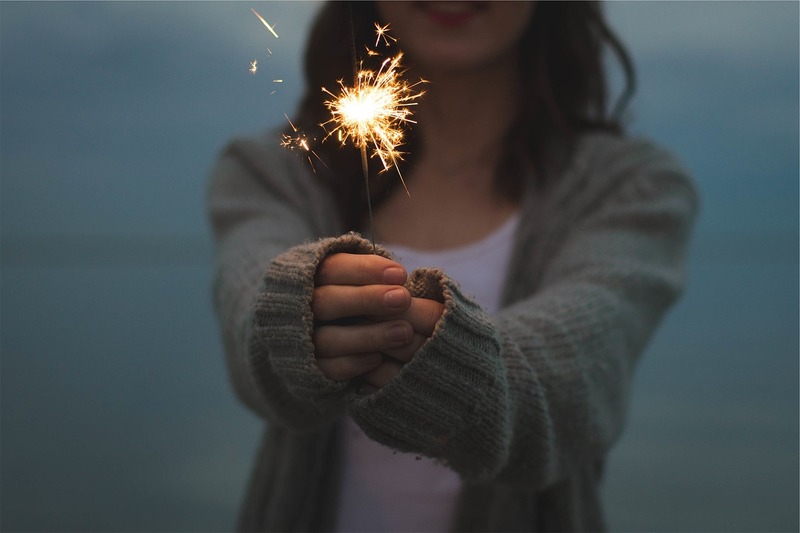 It's about time for the holidays--celebrate with one more piece of flash fiction? 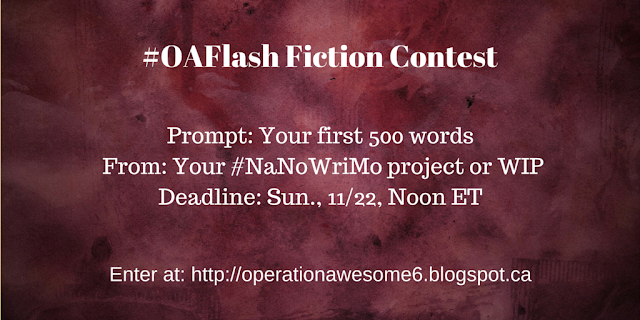 Hello there, and welcome to our #OAFlash fiction contest for this weekend. Last time, we didn't get a good turnout (that is, no one came to my party--but don't worry, I only cried in the corner for a few hours). We think perhaps that NaNoWriMo perhaps got in the way a bit, so for this one, well, we made it easy on you. You can enter and not even write a single word! Check out The Rules, and then leave your entry in the comments. I'll pick a winner by noon on Sunday. Don't forget to include your name and your Twitter handle. And tell your friends to join us! 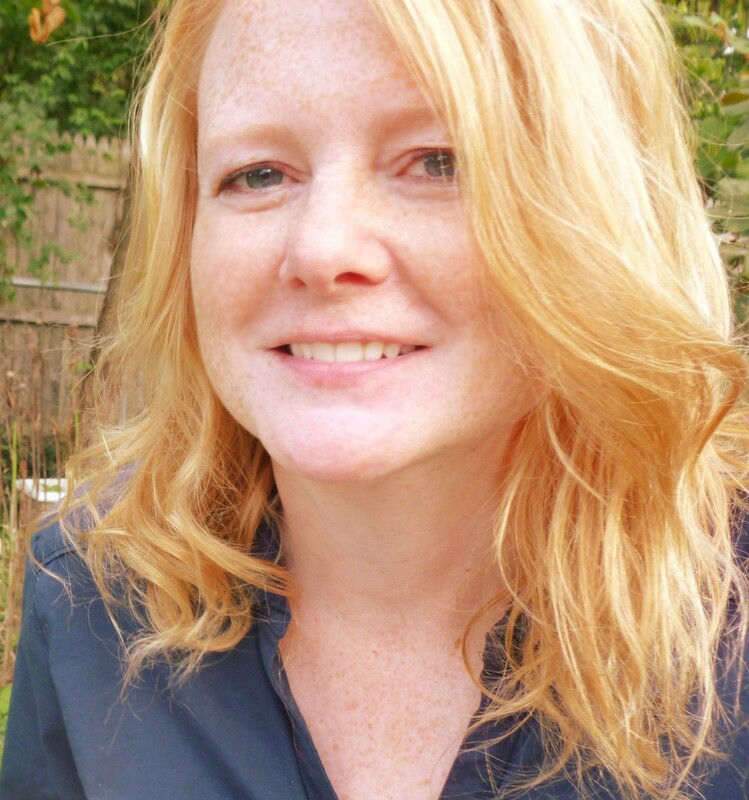 Our debut interview today is Michelle Hauck, talking about her debut adult fantasy novel, GRUDGING. Thanks for agreeing to be interviewed at Operation Awesome and congratulations on your adult debut! Tell us a little bit about GRUDGING! Let me try to avoid the blurb and put it in my own words. A city-state in the desert is under siege from an overwhelming army. Other city-states have already burned. Their only recourse is to seek assistance from their traditional enemy—the witches. It’s a tale of four characters: A young man, Ramiro, who hero worships his brother. The city Alcalde trying to keep his people alive. A girl, Claire, who wants to know more about her magic and life outside her swamp. A priest who lands in the middle of the enemy. Can they come together to beat back the flames and save a people? Worldbuilding is often a huge part of what sets fantasy novels apart. Can you tell us some aspects of GRUDGING's world that makes it unique? The world of GRUDGING is based on medieval Spain with Moorish aspects, which means a form of religion based on Catholicism, with a twist of course. It’s set in a desert and a swamp to make sure the terrain varies. And it includes three completely different cultures to keep the plot complex. You have witches who sing to bewilder the mind. An enemy religion of blood sacrifice to appease a dark god. And a weapon that can kill with just a touch. You mention witches that can sing to bewilder the mind; that sounds similar to the ancient myths of sirens. What sort of research did you do and how much of your sirenas are based on the Greek sirens? I did research on other things, such as armor, but did nothing on sirens. I wanted my sirens to be different. For one they live in a swamp and not the sea. They use their magic to repel men, not lure them. The Women of the Song just want to be left alone. They will use their magic to defend themselves if needed and have a variety of tricks up their sleeves. Hmm. Let me think. I started GRUDGING in November of 2014 as a NaNoMoWri project (write a book in a month). I don’t usually try to write 50,000 words in a month because I know that’s not possible for me, but I needed the motivation to get started. I did manage ten thousand words. Then it took me eleven months to finish the draft and have my critique partners read and send feedback. My agent sent more feedback and some larger revisions. It went on submission in February 2015 and sold at the end of May. So it’s published just a year after I started it! 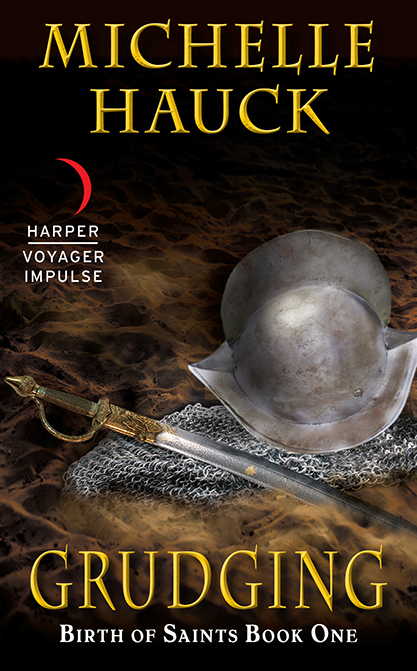 Can you tell us about how you got your book deal with Harper Voyager and what makes them a good fit for your book? My agent sent GRUDGING out on submission to about eight editors. Harper Voyager was one of those who requested quickly, then we waited about two months before they offered for their Impulse line. I love that Harper Voyager is devoted to science fiction and fantasy, and they were specifically looking for more epic fantasy at the time. Fantasy is all I write and read, so I feel like I really fit in. What about the title? Was GRUDGING the original title you had in mind? How did it come about? GRUDGING is my original title when I started the manuscript during NaNoMoWri in 2014. I pictured two ancient enemies having to work together to throw off a larger and newer adversary. Claire and Ramiro wouldn’t work together happily. So much of the story is the progression of that relationship. 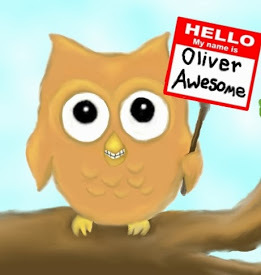 Operation Awesome posted on your cover reveal last month (LINK). How did your reveal day go? We just had a big reveal on October 15th. Rockstar Book Tours hosted it and it included a giveaway of three e-books. I was amazed at how many people signed up to put GRUDGING’s cover on their blog! It was so exciting! Tell us about your book launch! What, where, when, and how do you plan on celebrating? Rockstar Book Tours is doing a virtual release tour for me also. They will arrange interviews, guest posts and reviews online. The print book comes out about six weeks after the e-book and I’ll do live events then. Other than that, I plan on going out to dinner, having a big dessert, and just having a lovely day on November 17th. Let’s see if I can resist checking Amazon sales numbers. Not sure if I can help but peek at them. GRUDGING is book on in the "Birth of Saints" series. Can you give us any hints about what's to come? How much of the series is written at this point? The second book is tentatively titled FAITHFUL. I’m about fifty percent done with the first draft. I can say that things will not be getting better for Ramiro and family, though he and Claire will get closer. There will also be a new point of view scenes from a familiar character, Teresa. And that reminds me, if you enjoy the GRUDGING and want to see what happens to Teresa in that book, I have a deleted chapter I’ll be giving away to anyone signed up for my newsletter. Research about agents and publishing first. Know how to write a query letter and what word count is desired for what genre. Many people don’t have any luck until their second, third, or fourth manuscripts, so persistence is key. And always get other writers to read and critique for you. If I could do things differently, I would have followed that advice with my first manuscript. I knew nothing about writing, agents, or publishing. Learn and grow all the time. If Ramiro could join forces which the hero of another fantasy story to help him on his quest, which partner would he choose and why? Ramiro would have a case of hero worship on Aragorn from Lord of the Rings. They are both sword and horses type of guys. They could sit around with an ale and discuss honor and duty and what it means to them. Earlier this year I read an article on Facebook about a social experiment designed to see if there was a way to speed up falling in love. The experiment designer had a list of 36 questions that partners were supposed to ask each other, getting more personal the further down the list they went. I saved the link because I thought it was fascinating, and I knew I'd want to use it in a book someday. Your prompt for today is to use these questions to either get to know one of your characters better, or to have your characters get a little closer. The complete list of questions can be found here. With NaNoWriMo going on, I'm a little too busy to offer a query critique this week, but fellow Operative Samantha has agreed to provide a critique while I'm in the writing cave. If you're interested, speak up in the comments! Samantha will pick a winner for a critique. When I was in college, I worked at an independent bookstore in Fort Collins (that sadly went out of business a few years ago). One chilly day, I was working in the cafe, making drinks for several people sharing a table with their laptops out. I asked them what they were doing, and they told me about National Novel Writing Month. I was in my last semester of my undergrad program, and pretty swamped with applying to graduate school, but I filed NaNoWriMo away under "Things I'd like to do someday." And then I got married, and started grad school, and had a kid, all in a twelve month period. I was busier than I ever have been in my life. And I forgot about NaNoWriMo. Then I finished grad school, and became a full-time stay-at-home mom. My husband decided to go for a second bachelor's degree and pursue an opportunity to work for our church's education system while working the 7pm-7am shift as an emergency department admitter three nights a week. I think that was probably the busiest he's ever been in his life. I got pregnant again during that time, which for me means horrible nausea and vomiting. My husband was gone all the time, my one-year-old was running me ragged, I couldn't keep food down... it was a mess. And then at the beginning of October, we lost the baby. So while my poor husband tried to keep us afloat, I was mostly alone every night, suddenly not sick to death, and very, very sad. On the 31st of October, a friend announced on Facebook that he was starting NaNoWriMo the next day. I remembered the people from the bookstore cafe, and how much I had wanted to join in at the time. My husband was at work, so I signed up for NaNo and spent the rest of the night jotting down some ideas for a novel. And on November 1st, I went for it. Spending each night writing while my son slept and my husband worked was amazingly cathartic for me. Having something to look forward to every night helped ease me through my grief. There was also a great community of NaNo writers for me to talk to--I'd never had any friends interested in writing before. When I emerged victorious on November 30th, my husband threw a party for me with several of our friends where I got to read some of my book to them. I felt special again, not just an object of people's pity. That sense of purpose and feeling of community is a huge part of why I keep coming back to NaNoWriMo every November. It's why I love the Twitter community of writers and other publishing professionals, and why I enjoy contributing to Operation Awesome. HYBRID (The Domino Project #2) went out into the world yesterday. I love Tuesdays! I don't know why so many books come out on Tuesdays, but it sure makes for an exciting day! Today is the release day for Natalie Whipple's latest book, SIDEKICK. I got to meet Natalie at a writing conference last year, and let me just say that she is so friendly and willing to talk to fans. And she signed my copy of HOUSE OF IVY & SORROW, which I read overnight at the conference! 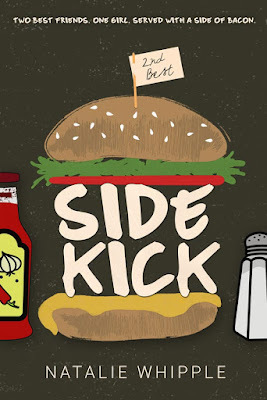 I love the premise of SIDEKICK, and I'm excited to share an excerpt from the book with the readers of Operation Awesome. 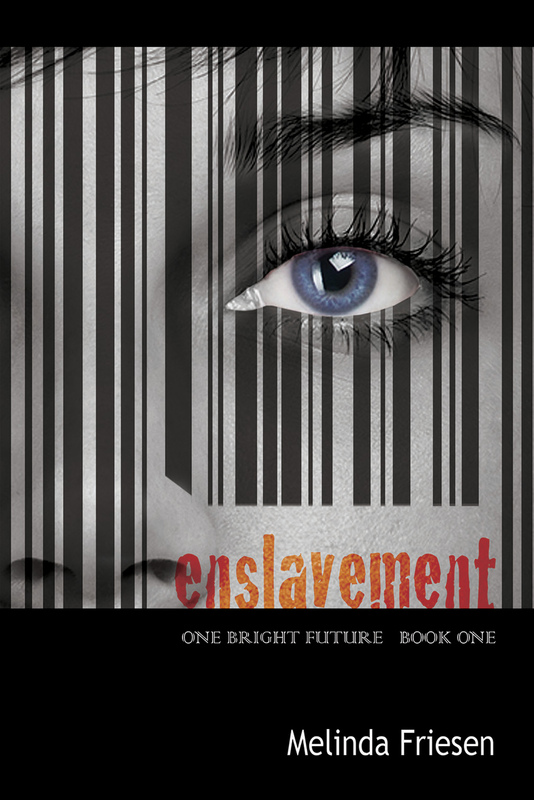 Be sure to add it to your Goodreads list and enter the giveaway at the end of the post! Russ is a high school football player who feels like he always comes in second to his best friend, Garret. In sports. In school. With girls. Well, he's tired of it, and he gets the rather foolish idea that if he can win the heart of the new girl in town before Garret he can prove he's not just sloppy seconds. His plan? Use his anime-obsessed sister's group, who has befriended the new girl, to get closer to her. He'd never tell the team, but he's been going to Anime Night for years and might even enjoy it. That would ruin his reputation, just like his secret love for cooking and James Taylor. But pretending to be something you aren't catches up to you eventually, and Russ can only get away with living two lives for so long. As more than one person reveals they have something to hide, Russ must figure out what and who he really wants in his life. And more than that, he needs the courage to make it happen. Purchase a signed copy from the author here! “Of course.” Parker’s Drive-In is our place, and I mean that in the manliest way possible. Old Man Parker puts bacon grease in the burger meat, so the whole place smells like a giant slab of pig fat. There’s nothing better in the world than this homage to bacon. Parker’s is always open, so when we pull up at midnight there are still a couple of people sitting in the bright red booths. When Garret opens the door, the cashier, Buck Parker, smiles wide. He’s the oldest of the four Parker boys. The whole family works there, and most of them are proud of it. I guess I would be too if I’d won awards for Best Drive-in Food. This place is one of the few reasons anyone comes to Clovis. The other two are family and farmers markets. I’d never tell a soul, but sometimes I wish I could work here, even for one day, just to see how they create their burger masterpieces. I shove my hands in my pockets, trying not to be annoyed at Buck for overlooking me and my eighty-nine yards running tonight. But yards run don’t matter when you aren’t the one with the ball in the end zone. At least Garret acknowledges me. I do appreciate that. We both get two bacon burgers with a side of chili fries. Garret gets Coke, but I go for Sprite because Coke tastes maybe one degree better than beer. We dig in, and I try not to moan over the crunchy bacon goodness. At Parker’s they chop up the bacon and make a full-on patty to go on top of the hamburger. So every single bite is full of bacon, bacon-flavored hamburger, and sharp cheddar. I have no choice but to forgive Buck for overlooking me. I bow to their burger genius. Natalie Whipple grew up in the Bay Area and relocated to Utah for high school, which was quite the culture shock for her anime-loving teen self. But the Rocky Mountains eventually won her over, and she stuck around to earn her degree in English linguistics at BYU, with a minor in editing. Natalie still lives in Utah with her husband and three kids, and keeps the local Asian market in business with all her attempts to cook. She is the author of the TRANSPARENT series, HOUSE OF IVY & SORROW, the I'M A NINJA series, FISH OUT OF WATER, and MY LITTLE BRONY (under K.M. Hayes). In addition to that, she is on the writing team for the cRPG Torment: Tides of Numenera that should be out sometime in 2015. Writing a successful query letter is an art form. It's a skill that requires instruction as well as practice to hone those skills. I could fill this post with advice on query letter writing, but I won't. Better, more experienced people than me have already written volumes on this subject, so my job today is to point you in the right direction. 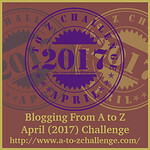 I've been querying for years and have come across a few resources that have been helpful to me. When I first started, I couldn't get an agent's attention to save my life, but by honing my query writing craft, I've been successful in garnering requests for full manuscripts. So, here are some of my favourite resources. query writing advice. The thing I liked most about this site is his upbeat attitude. He doesn't try to discourage writers with the dismal odds that are against them, but conveys information with a you-can-do-it attitude. 2. Query Shark. 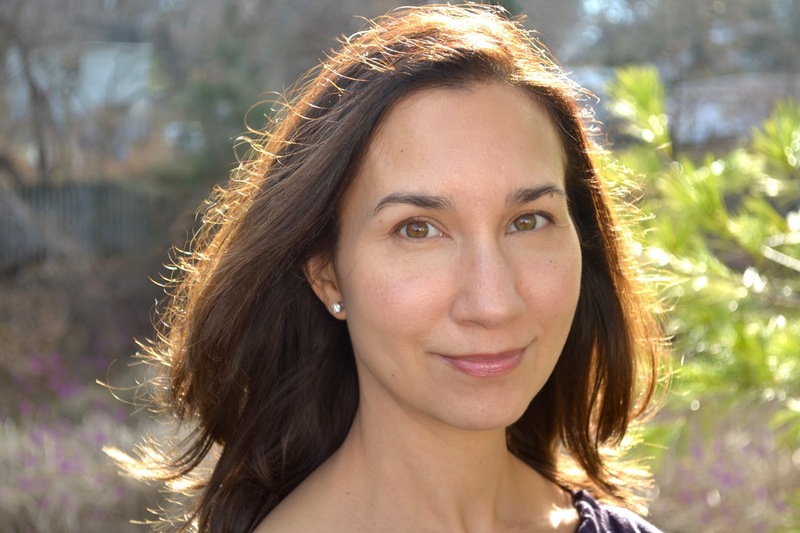 Literary agent, Janet Reid, runs this no-nonsense blog that walks writers through examples of lackluster queries and how to fix them. There are hundreds of examples available, and I encourage you to read through as many as possible. 3. Agent Query. Again, tons of information and advice about query letters and literary agents. This website has a database of agents, what they represent and if they're open for submissions. 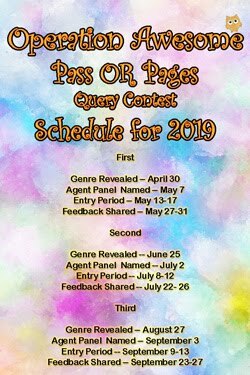 There is also a sister site called Agent Query Connect, a forum where writers can network and post queries for critique. My warning with receiving critique at AQ Connect is that it's often the blind leading the blind. Many have yet to write a successful query themselves. 4. Writer's Digest New Agent Alerts. This site shares information about new agents or agents who have transitioned to new firms and are actively building their client lists. Once you have a stellar query letter and a list of agents who represent your type of work and who you would like to work alongside, you're ready to start querying. 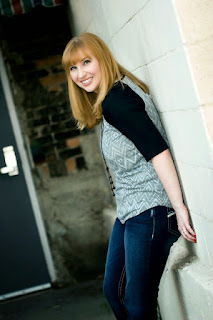 Melinda Friesen writes novels for teens and short stories for all ages. 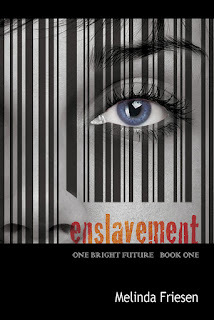 Her first novel, Enslavement, was released in November of 2014 by Rebelight Publishing Inc. She lives in Winnipeg,Manitoba Canada with her husband and four children. Well, hello there, and welcome to our #OAFlash fiction contest for this weekend. Have you read The Rules? One small tweak this week: I'm extending the deadline to noon ET on Sundays. I had a fanciful notion that I would arise early Sunday morning, read all the fabulous entries, and render a decision at first light. And then I remembered I had a toddler. Enjoy your extension! 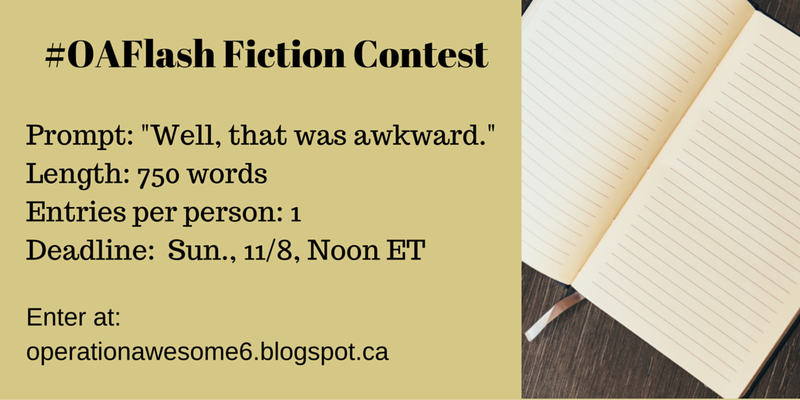 You don't need to include the prompt in your entry, but you can if you want. Don't forget to include your name and your Twitter handle! 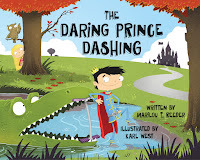 Please welcome Marilou T Reeder to our Wednesday Debut Interview, in which she'll tell us all about her debut picture book, THE DARING PRINCE DASHING! 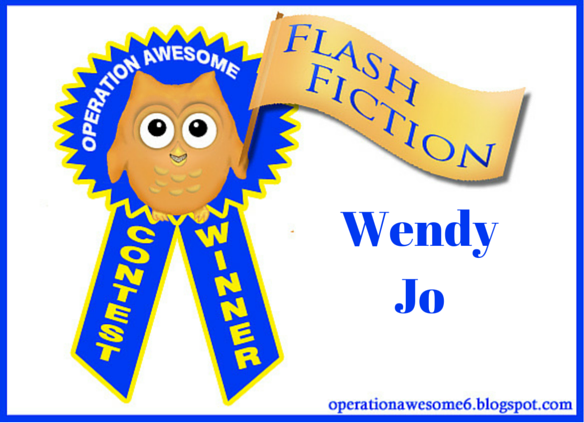 Thanks for agreeing to be interviewed at Operation Awesome, and congratulations on your debut! Tell us a little bit about THE DARING PRINCE DASHING! Thank you so much for having me! THE DARING PRINCE DASHING is about a prince who can’t do anything the easy way. He bathes in the moat with crocodiles and toasts s’mores by dragon’s breath.Then, at the royal ice cream social, he meets a girl as adventurous as he is. But at the stroke of bedtime, she hurries off, leaving only her pogo stick behind. 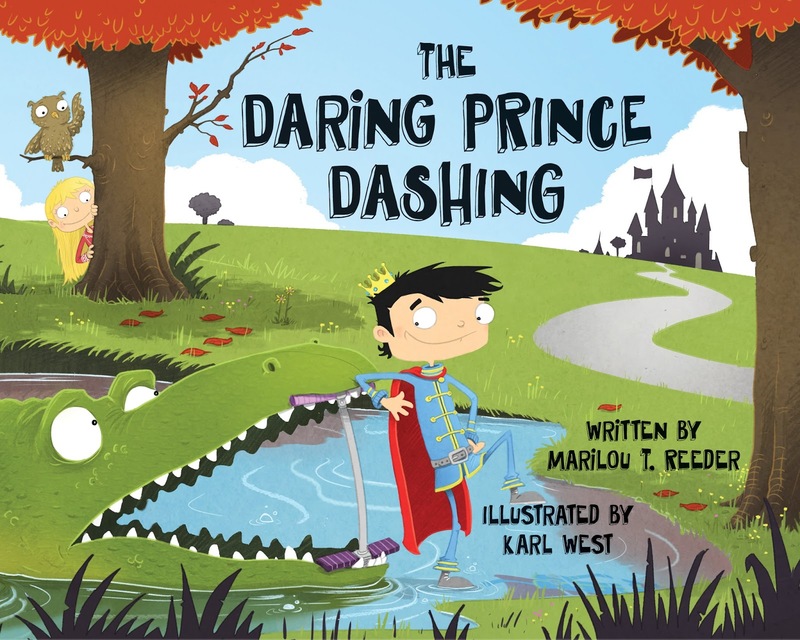 Prince Dashing declares that he will search for his new friend, and of course he must do it while blindfolded, which leads to lots of humorous mishaps! It is a very silly, fractured fairy tale. Can you tell us a bit about how this story came about? What was your inspiration? At a time when I was brainstorming for characters, my kids and I were watching America’s Got Talent. Every year they have performers who do crazy, death-defying acts, like balancing on one finger on the top of a flagpole, or juggling chainsaws or something. I cannot stand to watch performances like that, because I’m possibly the biggest chicken on Earth. Walking down a flight of stairs without holding onto a railing is about as daring as I get. But AGT sparked an idea: What if I wrote about a daring character? Prince Dashing came to mind, and because of the royal setting, I began to weave in some fairy tale elements. Can you tell us about how you got your book deal with Sky Pony Press and what makes them a good fit for your book? My super agent, Kathleen Rushall, submitted Prince Dashing to Julie Matysik, the Editorial Director at Sky Pony Press. A couple months later, Julie emailed to say that she loved the manuscript and wanted to bring it to the publisher. After the publisher gave the thumbs-up, my agent called me to let me know we had an offer. Julie has been wonderful to work with. This book has a lot going on in the illustrations that is not conveyed in the text, and it required an editor who could imagine how each spread might flow into the next--and Julie really understood it from the beginning. I think it is a rare talent to be able to envision all the pieces of the puzzle coming together. Another great thing about Sky Pony was they asked for my input and feedback, and Julie implemented my suggestions to make sure we were all happy with the final product. It’s been a gratifying experience to feel like I’m part of a team. When I’m writing, it helps to remember Pixar’s in-house motto: Be wrong as fast as you can. Basically, you’re going to make mistakes, and you will have to revise and tweak and revise and tweak until you get something worth publishing. You can expedite the process by making changes and moving forward quickly. Now, even though I try to keep this in mind, this is something I struggle with. I have one PB I’ve revised probably 20 times, over many months, and I’ve finally let go of the ending that once seemed so perfect. I wish I could have abandoned that ending months ago! It’s easier said than done, but my advice to others is to not get too attached to your writing, and to generate new ideas fast. And, just for fun: Which animated movie would Prince Dashing most enjoy being a part of? I think Prince Dashing would love to be in an action-packed movie like Big Hero 6. His acrobatic skills would come in handy. Thanks for joining us and congrats again on your book!! Hello! I'm busy NaNoWriMo-ing, so unfortunately this episode of Tuesday Museday does not come with a query critique. I'll pick them back up in December. Your writing prompt for today, should you choose to accept it, is your very favorite smell. Whatever it is, find a way to work it into your writing today. So what do you do after you finish all that writing and editing we've been talking about the past several months? If you decide you want to pursue traditional publishing, it's time to start querying. When I began my query journey, after figuring out what the heck a query letter was and who you sent it to, I began researching agents. And something I quickly realized was that a lot of agents were on Twitter. So I joined Twitter. I followed a handful of agents, and some other people based off of who was using #query or #querytip in their tweets. From there I found #tenqueries, and from there I found people running query contests and it all just spiraled out of control from there. My point is, social media can be a helpful tool in the query process because it's a way to see what an agent may be looking for outside of what's on their official bio. For example, if I saw an agent retweeting a Star Trek joke, I'd put them on the list of "people who might like my Star Trek-themed novel." Or during a #tenqueries an agent might say "This is the 5th novel set in WW2 I've gotten this week. I am so tired of this setting." And you would decide not to send them your World War II historical novel because you know it would probably be a rejection. It's also a good way to learn about people hosting query contests, because those can be excellent feedback opportunities. And Twitter has pitch contests, which is yet another way to get your work out there! My point is, there is an amazing querying community out there, and getting on social media and checking it out can enrich your querying experience. Give it a try!